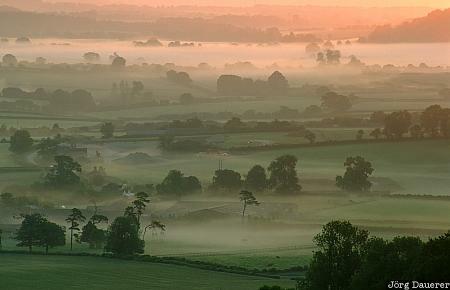 Layers of mist over the beautiful English countryside near Shaftsbury. Shaftsbury is in Dorset in southern England, United Kingdom. This photo was taken in the early morning of a sunny day June 2003. This photo is part of the exhibition Landscape Fog (October 2008).